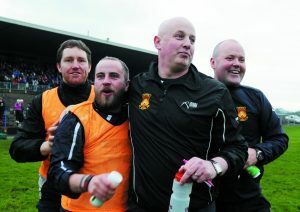 Pat Holmes knows his Castlebar Mitchels side will be up against a formidable outfit in Kerry’s Dr Crokes when the two meet in their All-Ireland Club SFC semi-final on Saturday. But the former Mayo boss says his charges are only focused on their own preparations. “The first thing I would say about Colm Cooper is that I think he will probably go down in history as the best Gaelic footballer ever. I genuinely believe that when the history books are written, at this moment in time, he’s just a phenomenal performer. It comes down to everything. For a guy of his physical build, what he can do with a football, the way he win his own ball and bring teammates into it, he’s a phenomenal footballer. But, at the end of the day, he’s only one man. A lot of players will have to handle the ball before he gets it, and it’s up to us to stop that,” he said.